The second-generation Mazda MX-5 Roadster was also available as a coupe in an extremely limited quantity. Unfortunately, the coupe was only sold in Japan, thus making it one of the most rear and the ultimate JDM unicorn. The redesigned second-generation Mazda MX-5 Miata was previewed at the Tokyo Motor Show in October 1997. The car, more commonly known by its chassis code: NB, was released to the public in 1999. 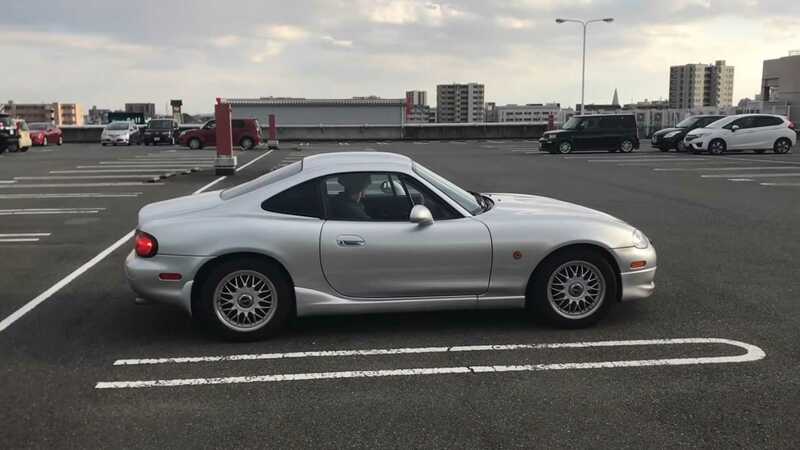 In the United States, the MX-5 Miata was powered by a naturally aspirated 1.8-liter four-cylinder engine which produced a respectable 140-horsepower and 116 pound-feet of torque. Power from the engine was sent to the rear wheels via a standard five-speed manual or an optional four-speed automatic transmission. 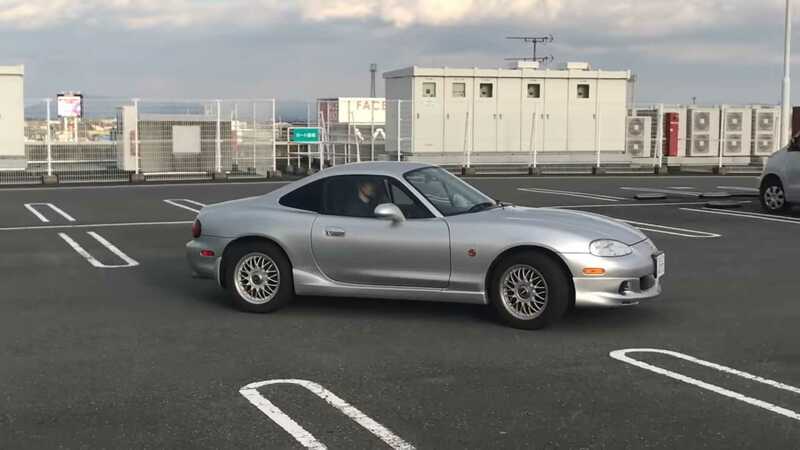 However, the Mazda presented in this video uploaded to YouTube by WasabiCars is the rarer Roadster Coupe variant of the MX-5 Miata or the Roadster as it was known in Europe and Japan. 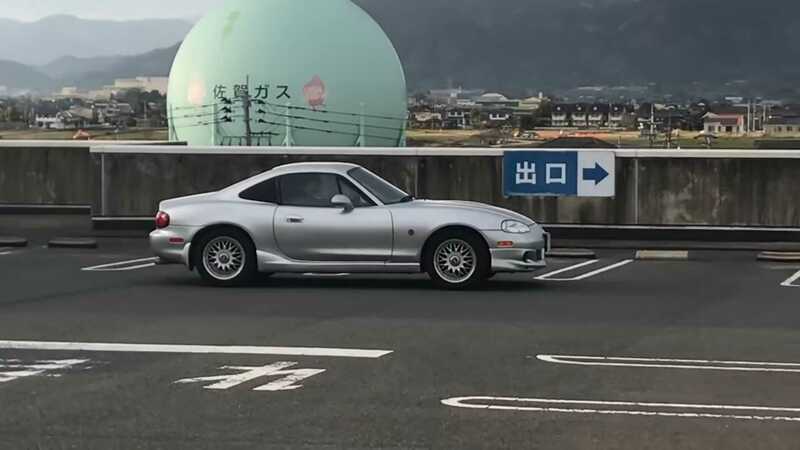 Since this Mazda Roadster Coupe is a Japanese Domestic Market (JDM) version, it is powered by a naturally aspirated 1.6-liter DOHC, 16-valve four-cylinder engine which produced 120-hp and 100 lb/ft torque. The engine in this particular Roadster Coupe is mated to a five-speed manual transmission. 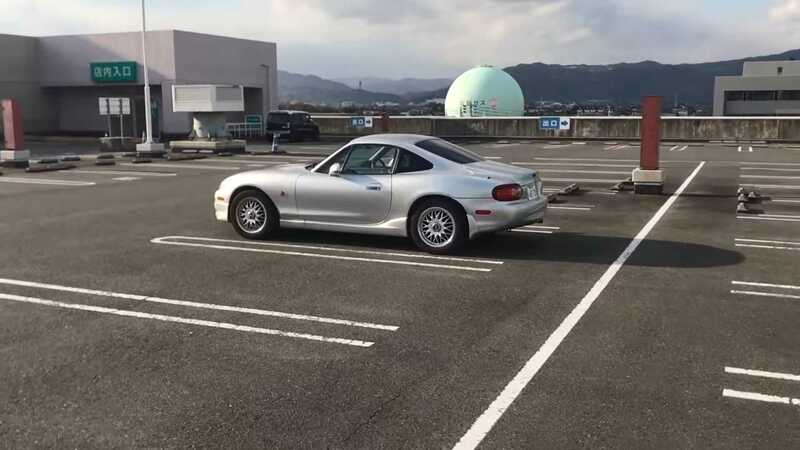 This video begins with the presenter stating how he saw this Mazda Roadster Coupe at his local Post Office and how the owner of the car was willing for him to film his car for this video. Unfortunately, the presenter had to narrate over the original video since it was shot on a windy day in Japan on a rooftop of a shopping center. After a brief introduction and greetings, the owner starts up the car and takes it for a quick spin around the rooftop, thus allowing the presenter to capture the coupe in motion. 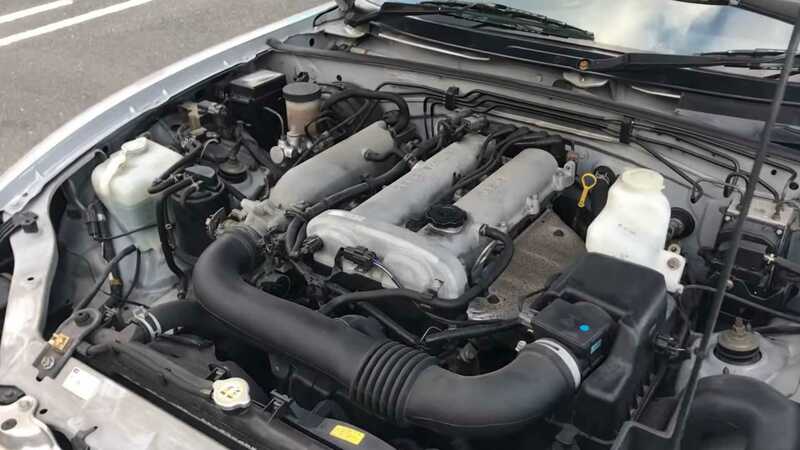 After the drive, the owner opens the hood, revealing the 1.6-liter engine, which looks to be in a good condition given the age of this automobile. 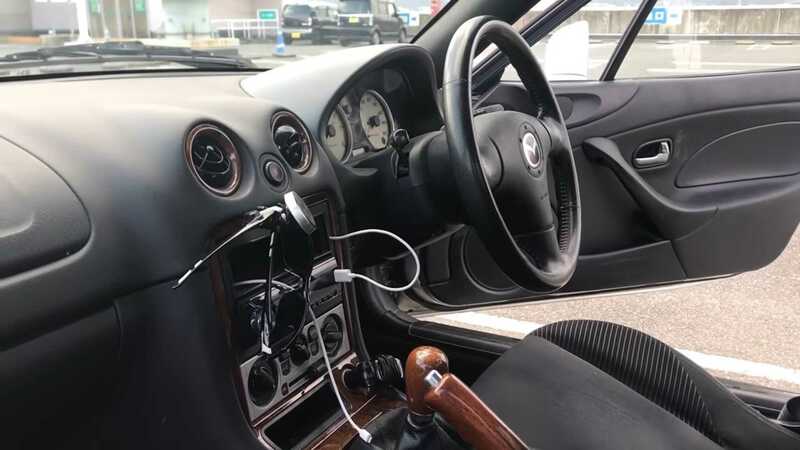 Later, he opens the passenger door to reveal the black interior of the Roadster Coupe along with the wood trim around the center console, a wooden gear shifter, a wooden hand brake lever, and the aftermarket radio head unit. Then the camera shifts to the rear of the cabin to reveal the additional storage space behind the front seats. After the quick tour of the interior, the presenter asks the owner what his future plans for the vehicle. 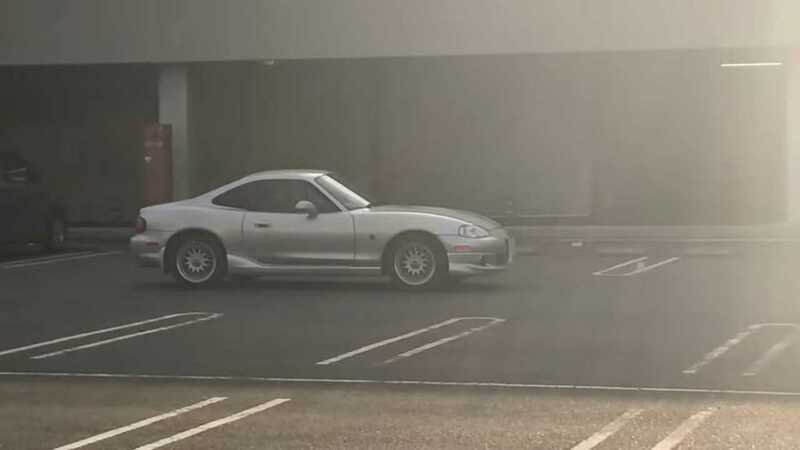 The owner replies by mentioning that he wants to install a new set of rims and tires and jokes that he eventually wants to convert this Mazda into a drift missile. After asking some additional questions, the presenter says that the owner wants to paint the car white, thus making it even rarer than it already is. The video comes to an end when the presenter gives the owner an original dealer brochure of his car. It is sad that Mazda never sold the Roadster Coupe in the U.S. at the time. 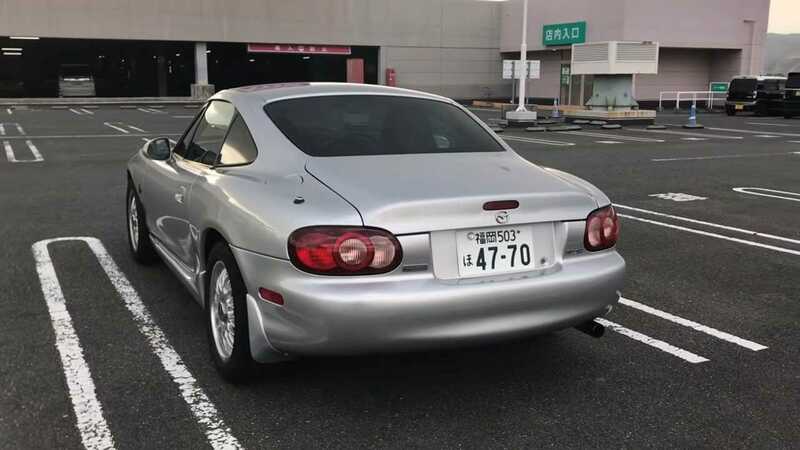 But after six years, the early versions of the car will be 25 years old and can be legally imported here, thus enabling die-hard Mazda enthusiasts to finally own a true JDM unicorn.